What kinds of trails have you come across while hiking a mountain or a fort? It would probably have been a forest trail, a boulders trail, a staircase trail, a skiing trail or a motorized trail. 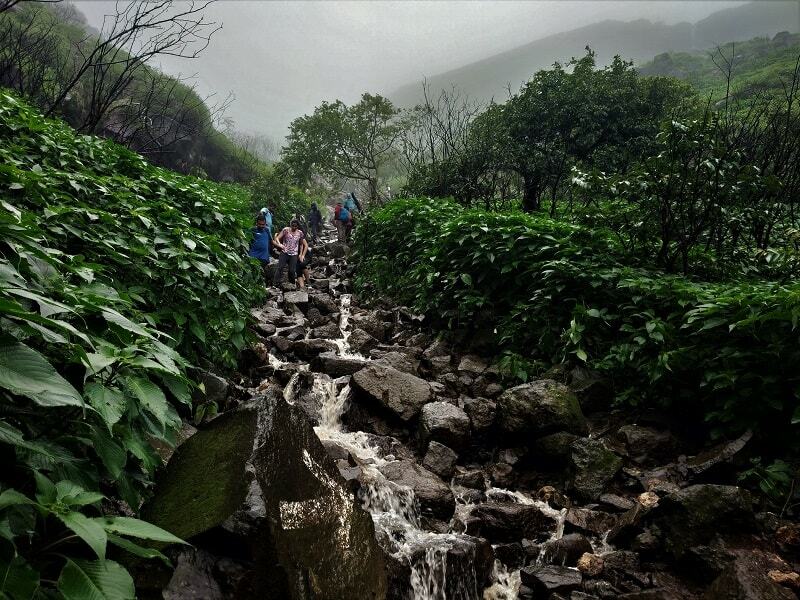 Have you ever trekked to the top of a mountain/ Fort taking a waterfall trail? If not, here is a great chance for you!! 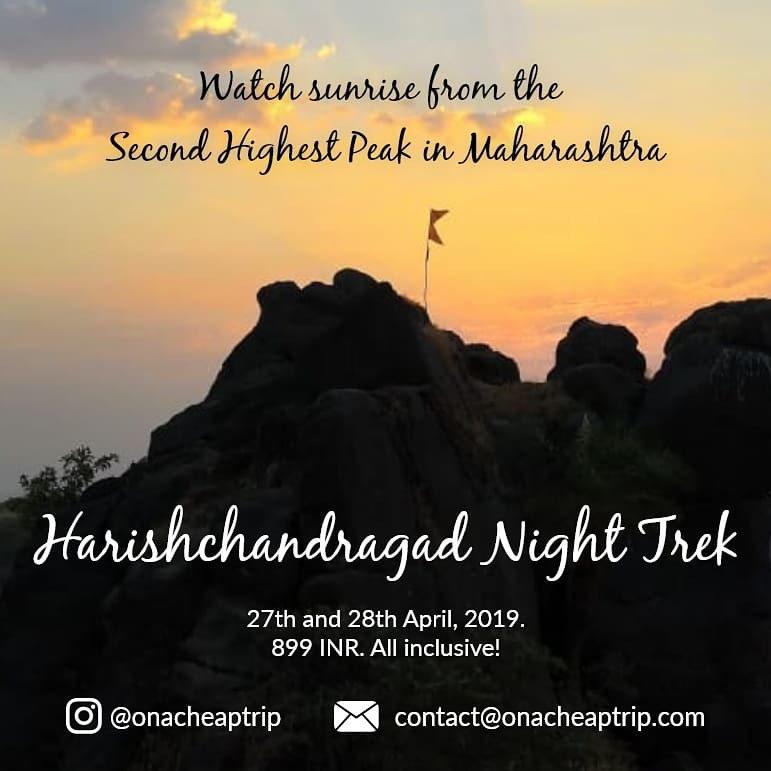 Be with me till the end of the post, and I will not be surprised if you start jumping in the excitement of going to Visapur Fort Trek. Ha-Ha! Not kidding, I am serious!! Located around 60 kms from Pune and 100 kms from Mumbai and standing at an elevation of about 1084 meters, Visapur Fort is one of the highest forts in Maharashtra. Perched upon a lush green plateau, the fort is a very popular excursion destination amongst nature lovers, trekkers, and campers. 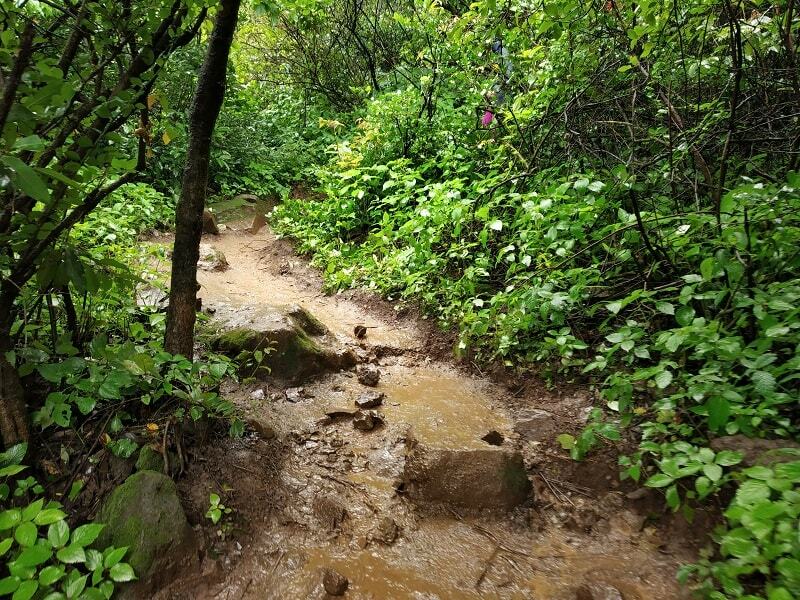 What’s special about one of the three routes which take you to the top is that you would need to climb through the gushing waterfall for the most part of the trail(only in monsoon season). The fort is a part of the Lohagad – Visapur fortification and is the higher one among the two. 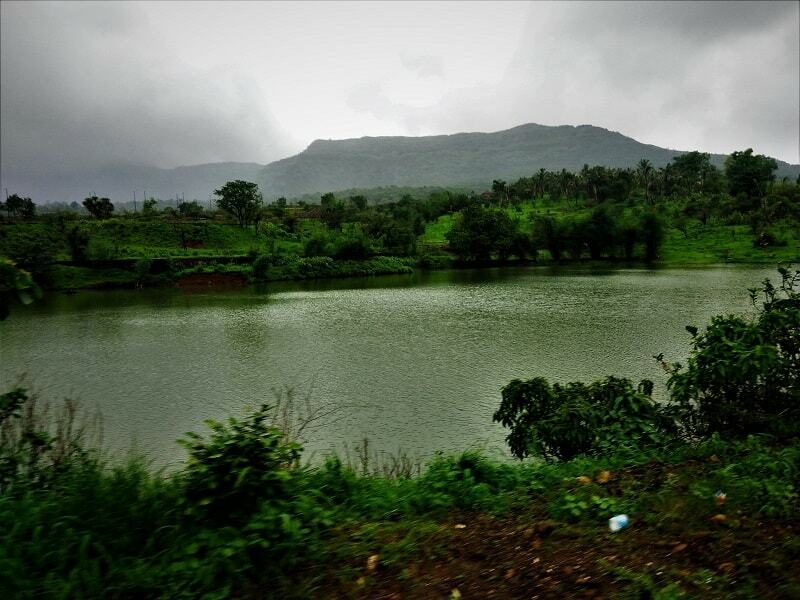 Apart from the view of lush green surrounding in the nearby region, Visapur also holds an outstanding view of Tikona Fort, Tung Fort, Lohagad Fort and the Pawna Lake. If you start your day early, you can easily cover both Lohagad and Visapur fort on the same day (3-4 hours trekking in total). The cheapest and convenient way to reach the fort is via railways. The nearest railhead to Visapur Fort is Malavli station (approx. 5 kms) which is well connected to Mumbai, Lonavala, and Pune via local trains. From Malavli station shared auto/taxi are available for the base village of Visapur Fort. You can also opt to walk all the way as it would hardly take an hour to reach the base village. For train bookings visit IRCTC. What I would suggest is to rent a bike from Pune/Mumbai/Lonavala (around 300 INR/per day). The road trip would add more fun to your entire journey. 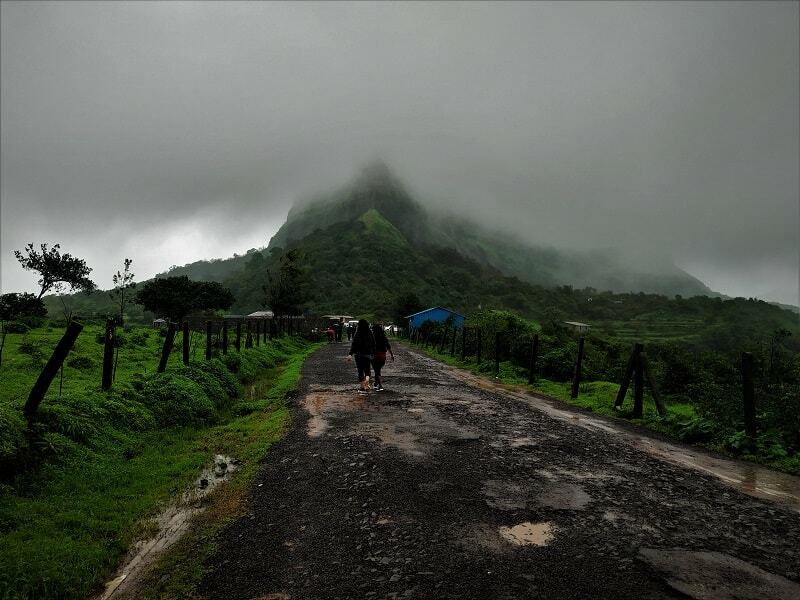 There are mainly 3 trekking routes to reach the top of Visapur Fort. 1)The Patan Village trail: Trickiest among the 3 routes, it generally takes about 2 hours to reach the top from this route. 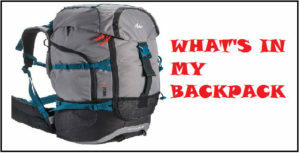 For the start, take help of the locals who will show you the correct trail. Remember, you must keep Patan village to your left. Once you come across a waterfall, stick to it for the rest of the route. After 20 minutes you will reach a fork, take the right one for Visapur Fort as the left goes to the Lohagad fort. Also, you can take help of arrows marked in the stone at a few places. After hiking for about 30 minutes, you will come across a broken staircase which will lead you to the entrance of the fort. This route is most exciting as you walk on different terrains on the same trek. 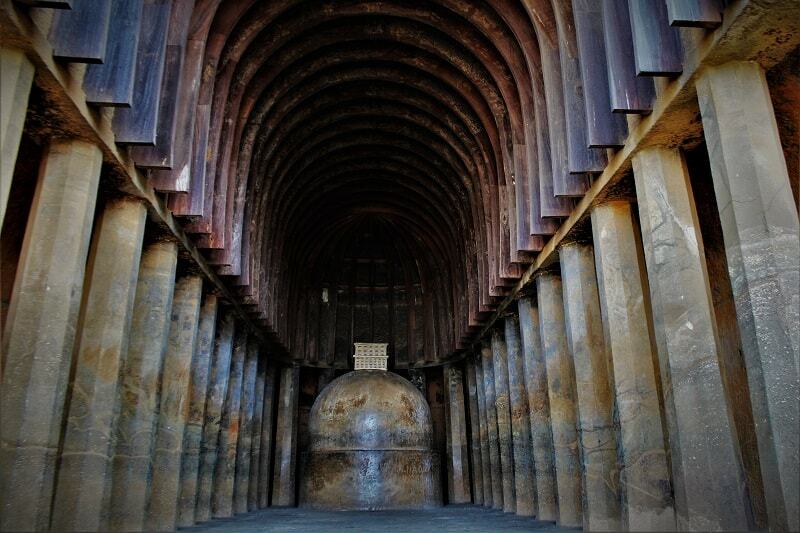 2) The Bhaje Caves trail: Bhaje caves are situated on the midway of Malavli station and Visapur base village. After climbing a few steps of Bhaje caves, look towards your left where you will see a huge mango tree. Follow the trail and you will reach a small plateau where you will see 2 abandoned huts. Now keep to the left-hand side of the hill as you climb up along the walls till you come across a small waterfall. From here a small trail will lead you to the start of stairs way, the route eventually meets the route from the Patan Village. 3)The Gaimukh Khind trail: This is probably the fastest way to reach the top of Visapur Fort (1 hour). On the route to Lohagad from Malavli, take a left once you reach Viraj Farms Lohgad (search on Gmaps). Continue walking for 10-15 minutes, once you reach a point where the road divides into two. Take the left trail; after walking for a few meters, you will see a board where it’s written Visapur Kade, take that trail. Now the trail is pretty straightforward passing through jungles and then the waterfall. What I would suggest is to ascend from the Gaimukh Khind and descend from the Bhaje caves trail. 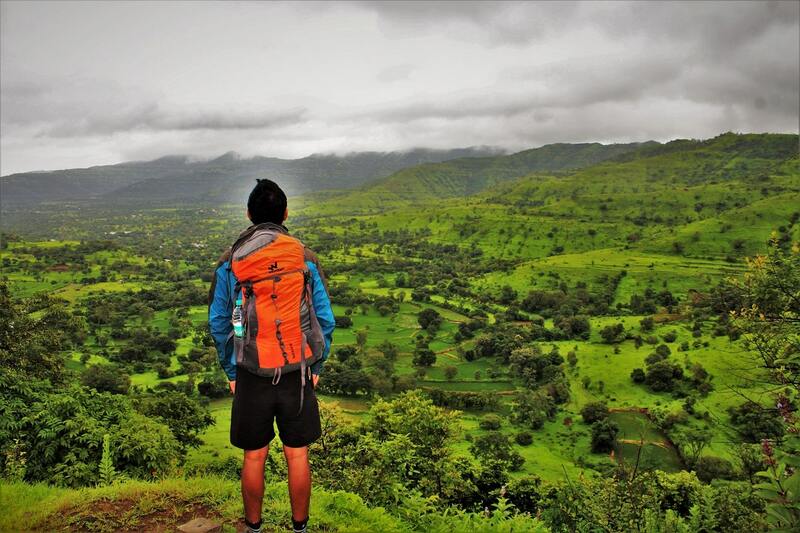 I would rate Visapur Fort trek as an easy to moderate level trek and would highly recommend it to beginners. It generally takes around 1 – 1.5 hours to reach the top depending on the route which you are choosing. Also, there are many shelters all along the trail, which will help to catch your breath. 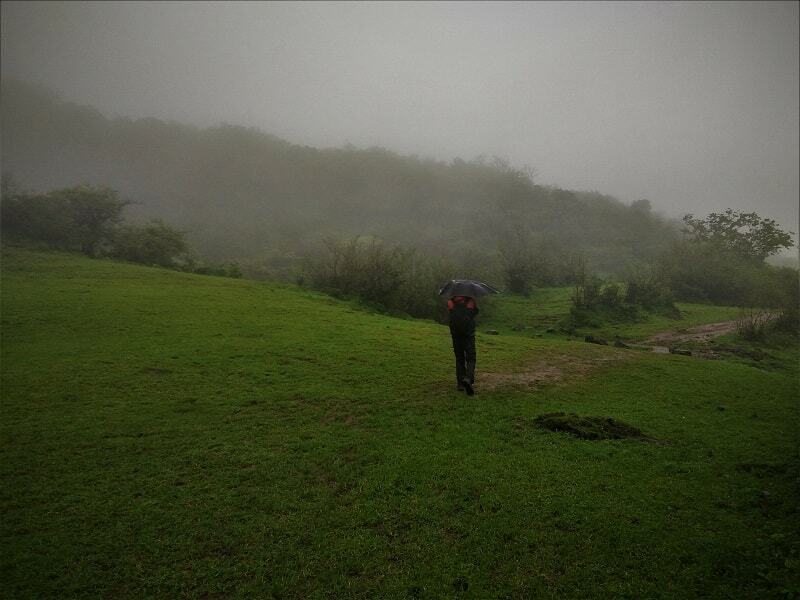 If you are doing the trek in monsoon, just be extra cautious as the route becomes little slippery. It was my second visit to Visapur fort; I wanted to explore the other trekking routes to get to the top of the fort. 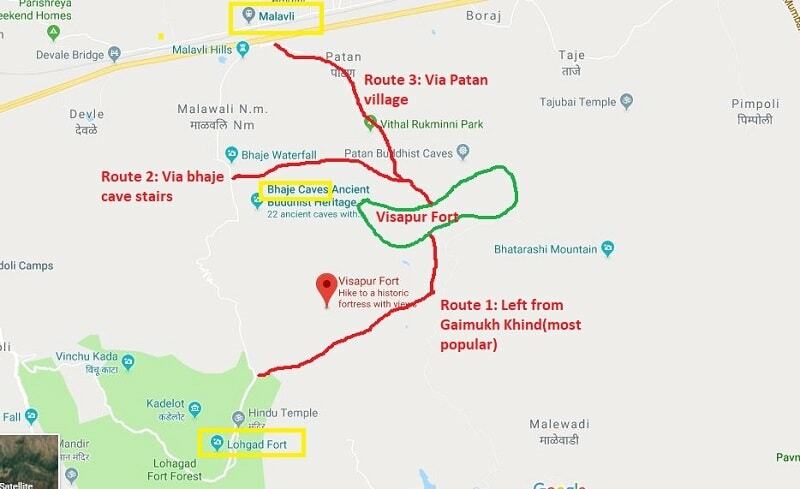 I started from Pune around 6:00 am and took the village route to reach the base of the Visapur Fort. The village route passes through Kolvan, Hadashi, Javan, Tikona Peth, and Lohagad. Riding all along the Pawna Lake with a view of Tung Fort in the background is a moment to cheer about. After parking the bike at the base village, I headed for the Visapur Fort by taking the Gaimukh Khind trail. 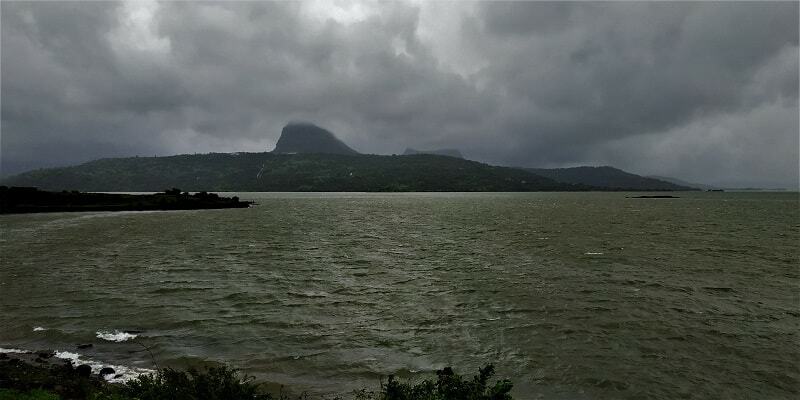 The fort was entirely covered under clouds, with water gushing out from the various points of the fort wall. It was raining heavily and owing to heavy fog, visibility was almost zero. As I knew the route, finding the correct trail wasn’t an issue for me at all. After walking through little forest cover, I reached a point where the further trail ahead was all along the waterfall. It was very exciting to trek through the waterfall trail. At the top, it seemed that clouds were just walking along with me. Hurray!! 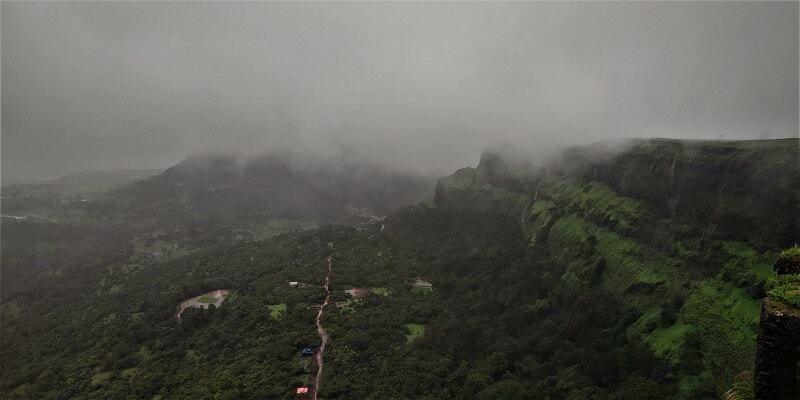 The scenery of clouds surrounding the fort certainly needs to be captured on your camera. 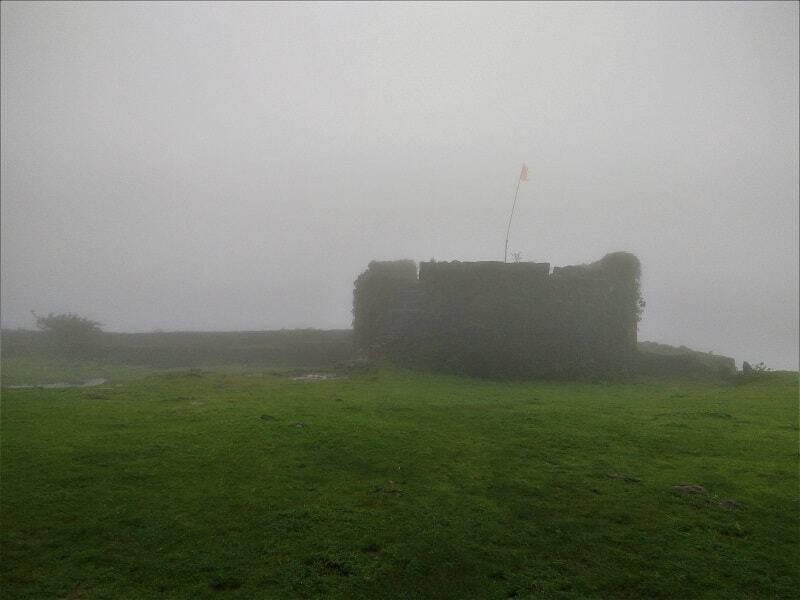 If you are visiting a fort in the monsoon in Maharashtra, most probably you won’t be able to explore its surroundings owing to the prevalent foggy weather for the entire day. As I had already explored the fort on my previous visit, hence I was just interested to descend down taking the staircase way. 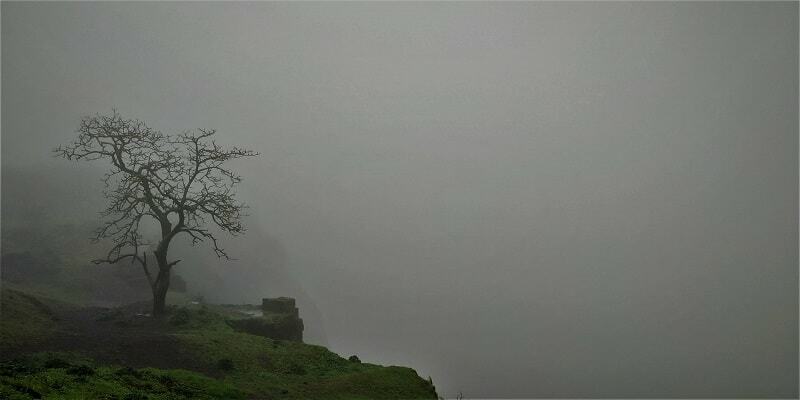 I was a bit lost on the vast plateau of Visapur Fort and was unable to locate the staircase way owing to heavy fog. After wandering around for half an hour and using Gmaps, I finally made it the point from where I needed to descend. The water falling from the staircase was definitely a moment to capture. Walking along the waterfall and passing through few lush green plateaus, I reached the staircase which leads to Bhaje caves. The caves are a group of 22 rock cut caves having a number of stupas. 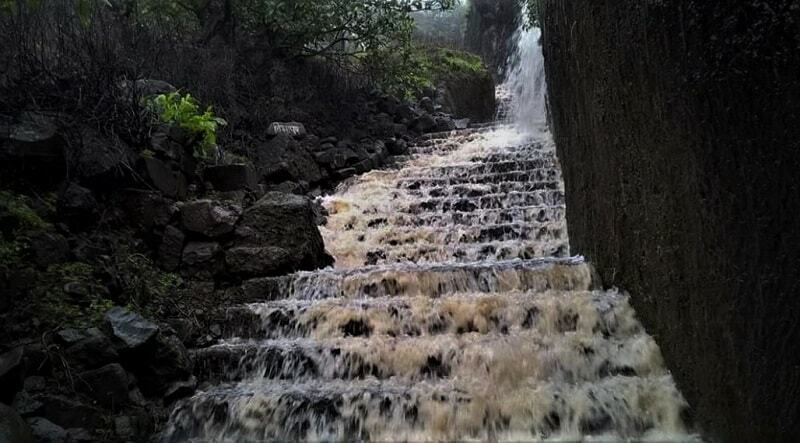 Near to the last cave, there is a waterfall which falls in a small pond during monsoon season. 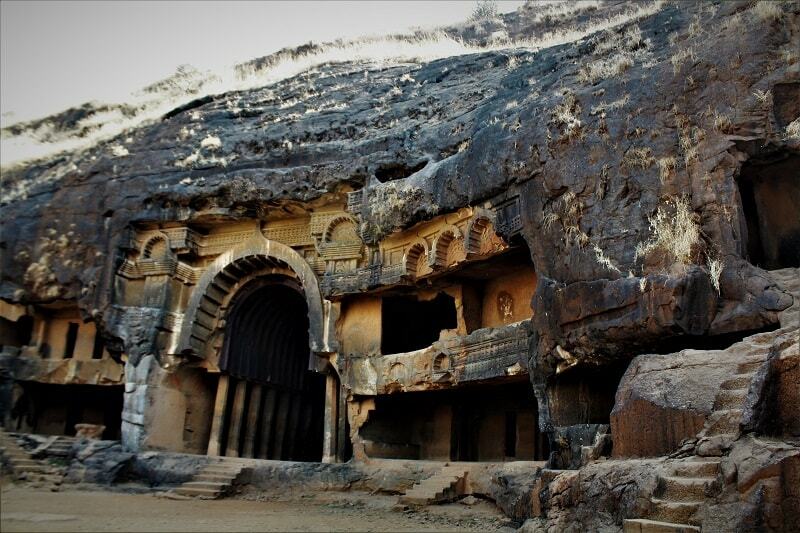 There is a little entrance fee of INR 10 for the Bhaje caves. You should not miss visiting this cave. From Bhaje caves, a 10 minutes’ walk will take you to the Bhaje waterfall where you can take a bath to put an end to the exciting journey. 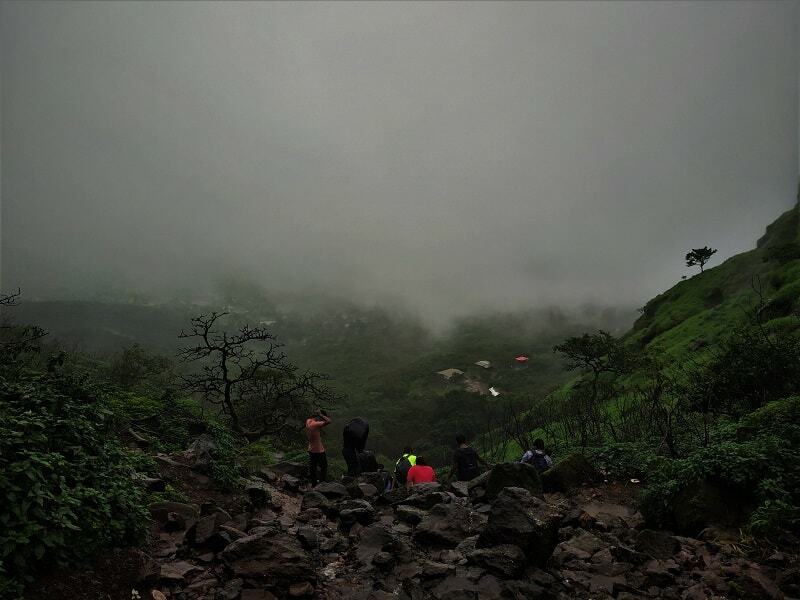 If you have time and strength left, you can also trek to the top of Lohagad Fort as it would hardly take 2 more hours in total. I had already explored Lohagad thrice, so was not at all interested to trek again. For the return, I took the Old Mumbai Pune highway. 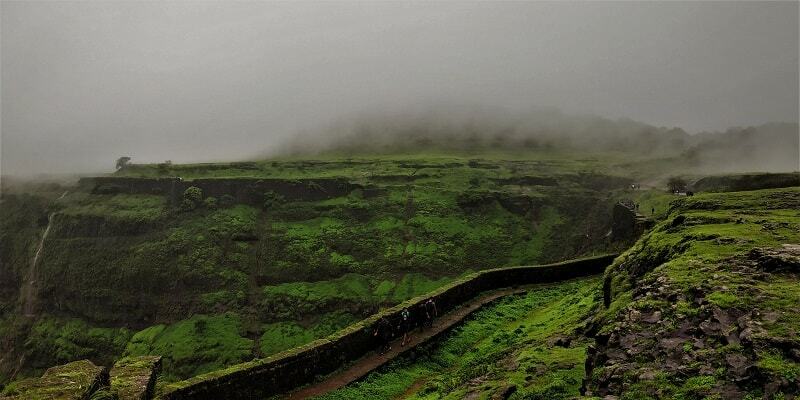 The top of the fort is a vast green plateau and you can walk along the perimeter and enjoy the breathtaking view of the surroundings including Tikona Fort, Tung Fort, Lohagad Fort and the Pawna Lake. There are few water storage cisterns, temples of Hanuman, a decorated arch and old house also at the top which you can explore. Generally, no one stays overnight due to lack of proper accommodation options. Also, the fort can be visited on a day trip from Pune/Mumbai. 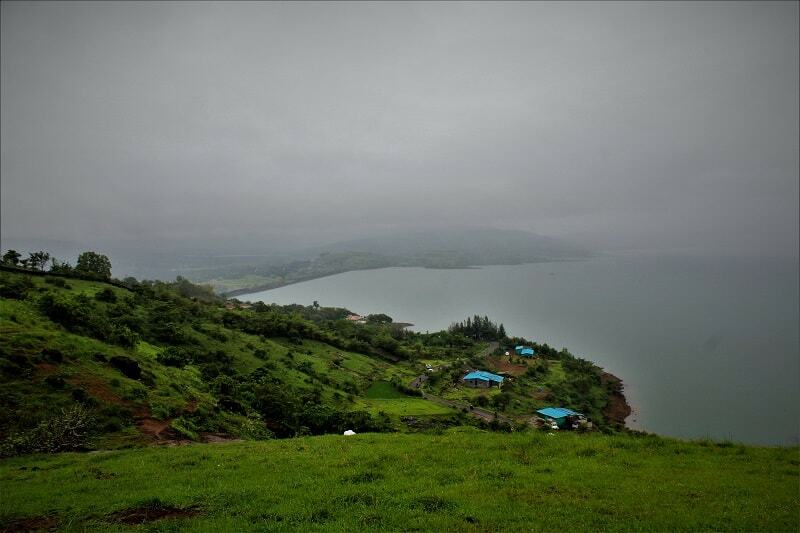 But if you are planning to stay, there is a village at the base of Visapur – Lohagad where you will find few stay options. Viraj Farms at the start point of trek do have accommodation options available. There are not much food options on the way to the top. But yes you can find eating joints at the base of the fort where the locals serve the Maharashtrian food. There are also many dhabas at the base of nearby Lohagad fort. 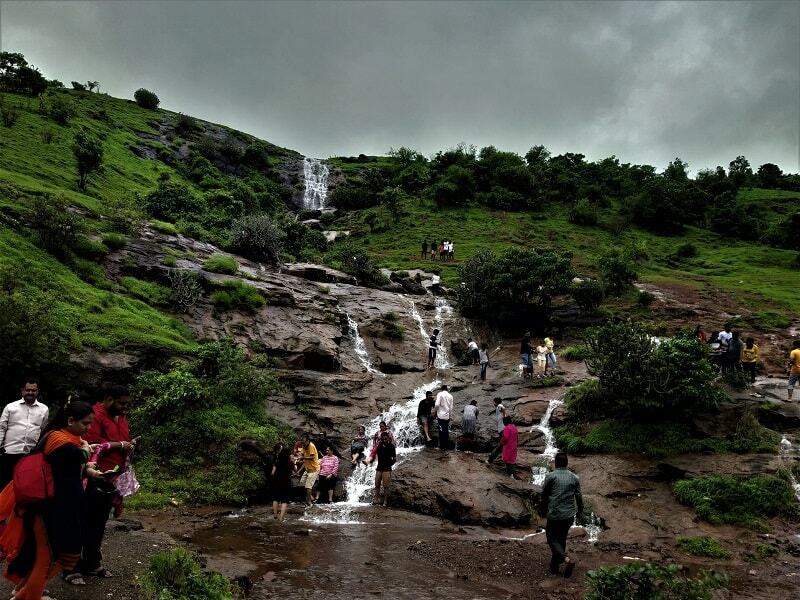 Undoubtedly, the monsoon months of July to September is the best time to trek to the Visapur Fort as the surroundings are lush green and there are many waterfalls all along the way. 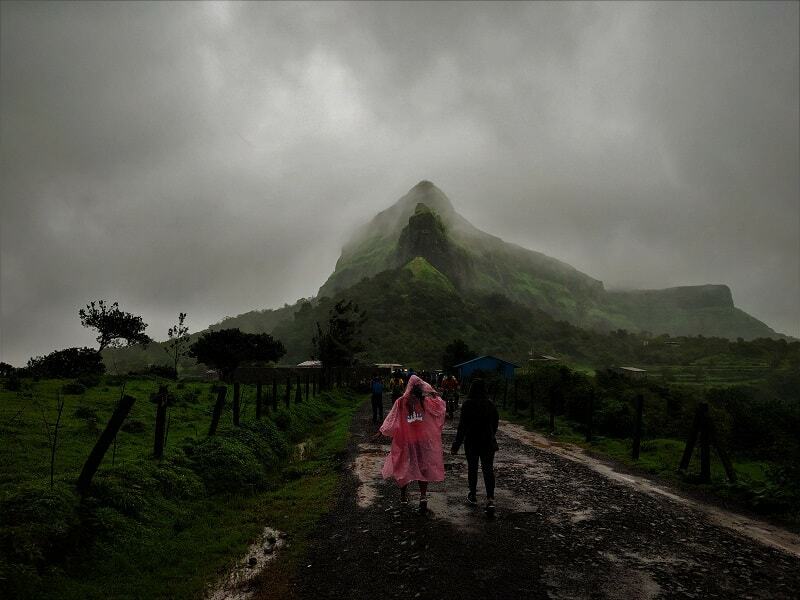 Though one needs to be little extra cautious as trails become little slippery during monsoon. If you want to explore the top of the fort and the surrounding regions, October to February would be an ideal time to have a visit to the fort. So, do you want to make lifetime memories by trekking through a waterfall to reach a mountain top? 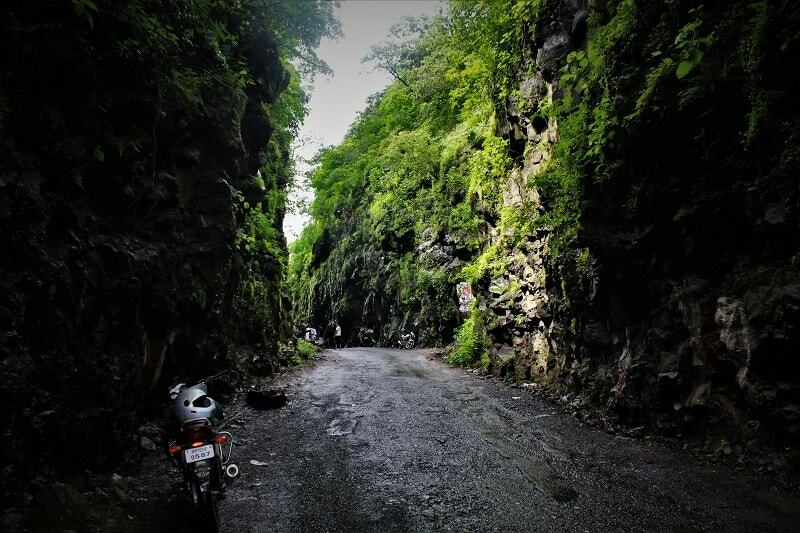 Get your backpack ready and ride to the beautiful Visapur Fort. 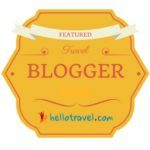 After reading this blog, I got to know that near about places in Mumbai are actually apt for trekking. Thanks for the information on how to reach there. 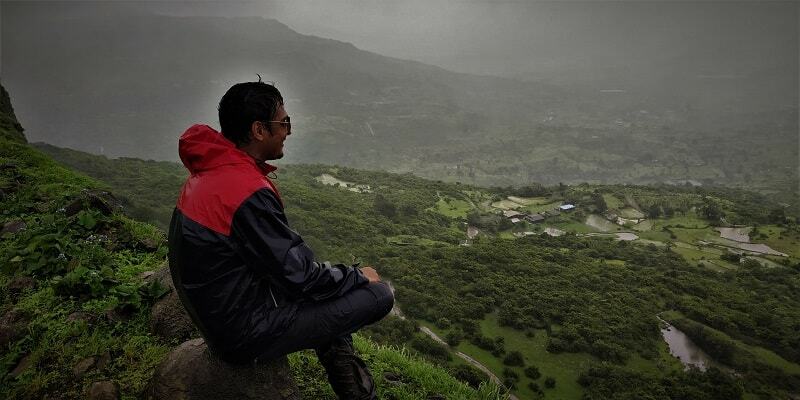 Awesome man, In this heavy monsoon you are able to capture these masterpiece images and videos. Hats off and keep it up.